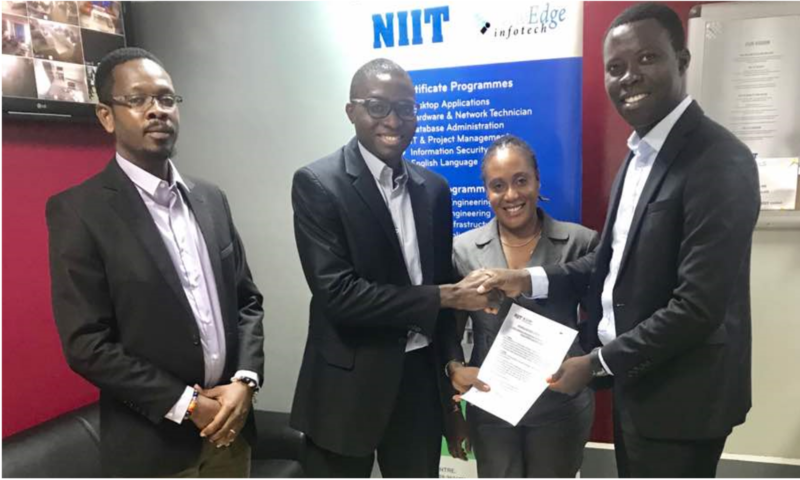 On Tuesday 3rd July 2018 the Institute of ICT Professionals Ghana (IIPGH) signed a Memorandum of Understanding (MoU) with NewEdge Infotech Ghana (NEIGH) also known as NIIT to deliver Essential ICT skills program across the country. The ICT skills development partnership between the two organizations is aimed at getting as many children of school going age to learn practical and relevant ICT skills such as coding and other digital skills. The institute wants to help children develop interest and skills in computer programming at an early stage. 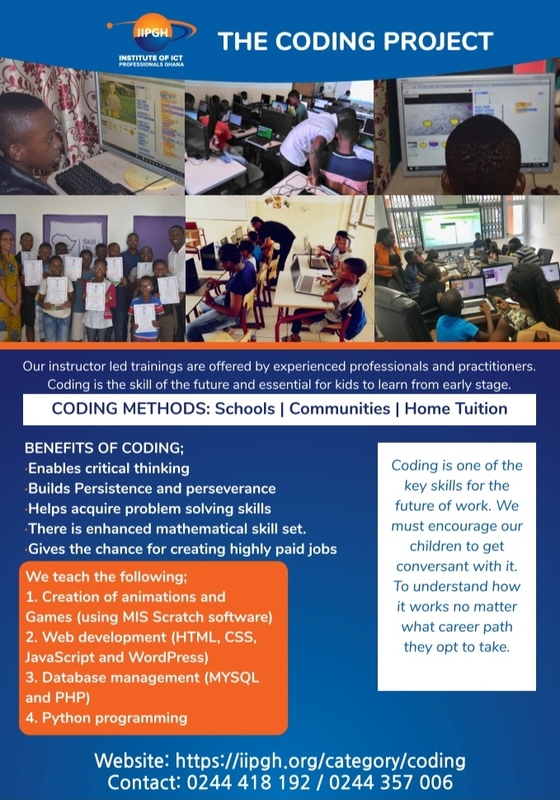 The coding class and other programs will also give the children problem solving skills and nurture their minds towards creativity that would lead to innovation. These practical and relevant ICT skills are essential 21st century digital skills that prepares young people for any type of work in today’s fast moving technological world. 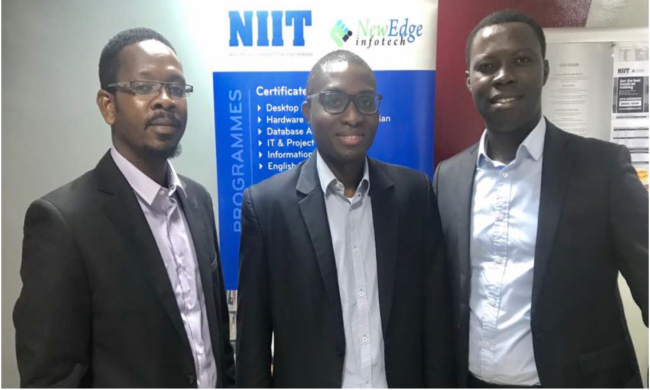 NIIT centers in Tema, Kumasi and Tamale shall serve as training centers for these practical ICT trainings and the well-designed course content from IIPGH shall be jointly delivered by Tutors of NIIT and IIPGH. The Institute is currently delivering coding classes at East Legon, East Airport International School, St. Martin de Porres, UMaT Tarkwa. IIPGH is also partnering Alpha Beta School Dansoman, Pioneers International, Peculiar International School Kasoa, Ghana Telecom University College (GTUC) and other organizations to deliver this coding program across the country. IIPGH with a pool of ICT experts and its partners with expertise in computer programming, website designs, Microsoft applications, cyber security, Digital Marketing among others are ensure that the course content is balanced with emphases on practical aspect of the training.. 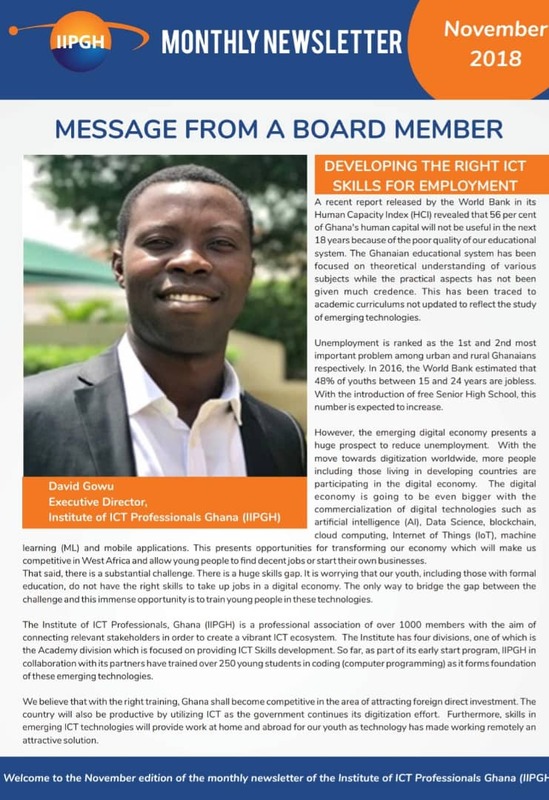 This drive is to ensure no child is left behind in our quest to get students from Ghana and beyond to be conversant with ICT tools and use them for the digital economy we intend to create. 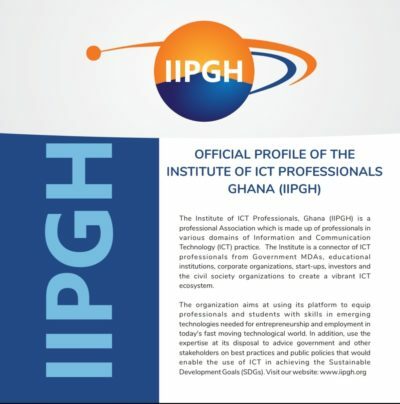 The Institute of ICT Professionals, Ghana (IIPGH) is a non-profit professional Association which is made up of professionals in various domains of Information and Communication Technology (ICT) practice. The Institute is a connector of ICT professionals from Government MDAs, educational institutions, corporate organizations, start-ups, investors and the civil society organizations to create a vibrant ICT ecosystem. The organization aims at using its platform to equip professionals and students with skills in emerging technologies needed for entrepreneurship and employment in today’s fast moving technological world. In addition, use the expertise at its disposal to advice government and other stakeholders on best practices and public policies that would enable the use of ICT in achieving the Sustainable Development Goals (SDGs). 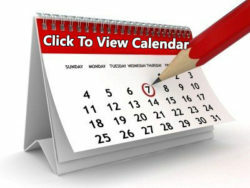 NewEdge Infotech Ghana (NEIGH – NIIT Ghana) is a leading name in quality IT education. NIIT proficiency spans both the IT education and IT-assisted training domains. NIIT is fully equipped with wide and comprehensive collection of education programs that touches the lives of numerous market segments-from commercial organizations, with specific training needs to individuals looking for IT and non-IT skills.